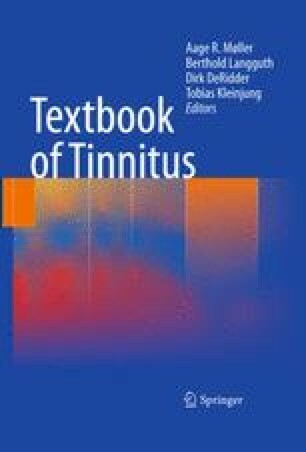 Tinnitus is not a psychiatric disorder, but shares some relevant aspects with psychiatric disorders. Tinnitus is frequently accompanied by psychiatric comorbidities. Tinnitus research can benefit from recent advances in psychiatric research, e.g., in neuroimaging, genetics or clinical trials methodology. Diagnosis of psychiatric comorbidity and psychopharmacologic treatment should be performed by psychiatrists, and psychotherapy by psychotherapists. A multidisciplinary collaborative approach seems to be the most promising strategy both for the management of the tinnitus patients and for tinnitus research.